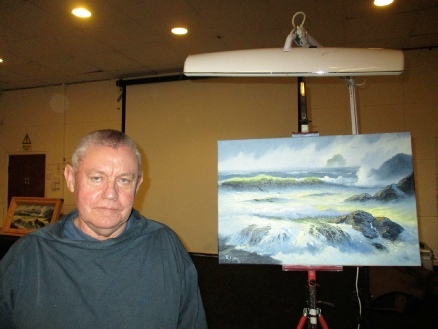 Artist Roy Lang entertained and instructed members with a beautiful, luminous painting of a seascape in oils. 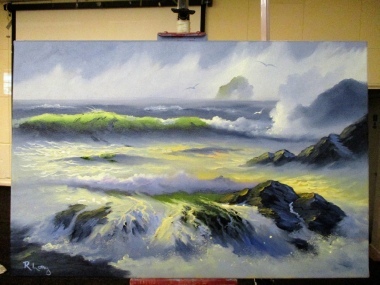 His painting captured the ocean's movement, lights and moods. 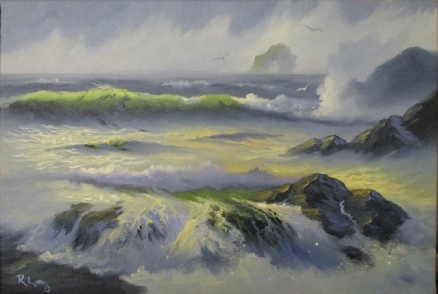 Roy's love of the sea and the inspirational Cornish coastline is communicated in words as well as his art, and his knowledge of the structure of a wave and the way he imparts this, in a simple and understandable way inspires many of us to try our hand at capturing the moment!! 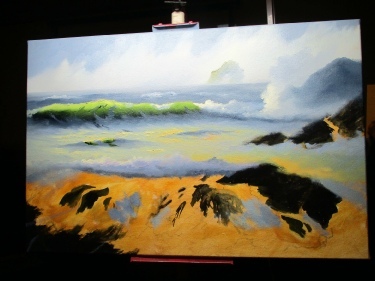 As an added extra his many anecdotes of his artistic life had the members laughing out loud! Thanks Roy for a great night!